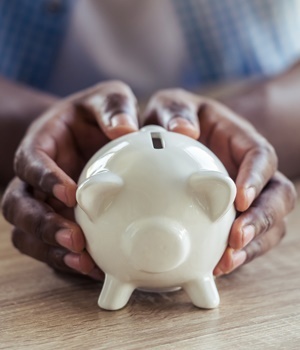 Johannesburg – Saving is largely dependent on willpower and discipline, according to the South African Savings Institute (SASI). Chairperson Prem Govender explained that South Africans have to improve their attitude to saving, given the credit ratings downgrade and the low growth economic environment. “Many South Africans are struggling to save not only due to income challenges, but also the lack of willpower and commitment,” said Govender. Data from the South African Reserve Bank (SARB) shows that in the past 16 years there has been a decline in the savings rate, explained Govender. It reached as low as -2.70% in 2013. The savings rate increased from -0.50% in the last quarter of 2016 to -0.30% in the first quarter of 2017. This has been accompanied by a reduction in household debt. Data from SARB shows on an annual basis, the growth in household debt slowed from 4.6% in 2015 to 3.9% in 2016. Further, the ratio of household debt to income was lower from 76.9% to 74.4%, said Govender. Many people don’t save because they don’t set targets. Set and write down important savings targets such as an emergency fund, holiday fund and other savings targets. Debit orders to savings accounts. Set up debit orders for Tax Free Savings Accounts (TFSA), 32-day notice accounts and unit trust accounts. Ask your employer payroll to save for a 13th cheque to be paid to you in December, by lowering your salary. “This extra pay cheque will allow you to ride out the festive period and new year expenses without major impact on your finances,” said SASI. When starting a new job, ask your employer to default to the highest allowable retirement fund contribution percentage of your income, explained SASI. You can also ask your employer to review your current contribution. All retirement funding contributions are tax deductible annually up to R350 000. Start or join a Stokvel or investment club with family and friends. “The group will encourage you and allow you to develop the discipline required to be a regular saver,” said SASI. Get a savings buddy to meet with regularly to discuss your savings journey and hold each other accountable. Request cash for a baby gift, to be deposited into a TFSA. “Or even taking out a retirement annuity (RA) for a baby,” said SASI. Set up a savings account or retirement annuity for your domestic helper. By receiving your retirement fund statements monthly or quarterly, this can help you keep track of your savings to make sure you have sufficient income for retirement. “Shop around and use a financial institution that rewards consistent savers either through a high savings interest rate or cash back for no claims,” said SASI. * Do you have a successful savings plan or story to tell? Share it with us nowand help others to also become Savings Heroes. Request cash for a baby gift, to be deposited into a TFSA or even taking out a retirement annuity for a baby. Banks should not charge fees for transactions made by children to allow their first saving experiences to be about seeing their money grow, says an expert. 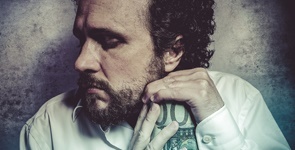 A 36-year-old makes as much as R1.6m in a day, yet still lives at home; he buys sandwiches late in the afternoon to save R10; and he travels in cheaper off-peak hours.